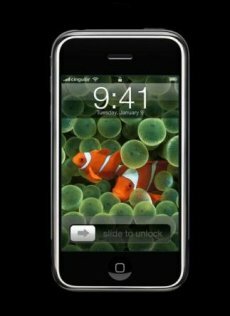 The iPhone has already landed in both North America and Europe, thus leaving Japan to be the next mark on Steve Jobs’ agenda. The Apple boss has already been reported to be in talks with local carriers, but no decision has been made yet. According to a Wall Street Journal report (subscription required), Apple has been negotiating with two Japanese companies: Softbank Corp (currently the number 3 company on the market) and NTT DoCoMo. While top executives from both telecoms have been reported to have paid numerous visits to the Cupertino HQ, the balance might be tipped to NTT DoCoMo’s advantage. Masao Nakamura, the NTT DoCoMo president, has recently met with Apple guru Steve Jobs and there’s a strong chance that a business plan has already been drawn. Still, both Japanese companies still keep quiet on the matter. No big surprise, given Apple’s strictness when it comes to secrecy. In the US, Apple partnered with AT&T and launched the iPhone on June 29. In Europe, Apple had to team up with three different companies: Orange in France, O2 in the UK and T-Mobile in Germany. The iPhone was released in Europe this November.